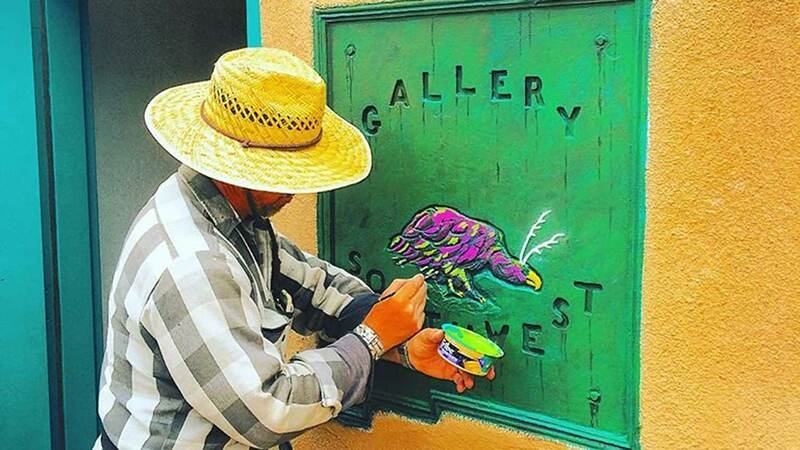 With a rich past steeped in art and culture, That same culture is thriving today, thousands of people visit Taos each year because of the beautiful art and active artists that call this place home. Our three major art museums are conveniently located down the street from El Pueblo Lodge and all provide a unique look into the incredible talent that has come from our quaint mountain community. Less than one mile from El Pueblo Lodge, is the second oldest art museum in all of New Mexico. This beautiful showcase houses a permanent collection of nearly 2,000 art pieces and over 15,000 photographs. Both this collection and the rotating pieces provide a beautiful and awe-inspiring look at Hispanic, Native American, and local art creating the perfect blend to showcase life and inspiration of Northern New Mexico. A three-minute walk from El Pueblo Lodge is Taos Art Museum. In the former home of artist Nicolai Fechin, this museum aims to bring the talents and works of local Taos artists to the public eye. Many pieces created by Taos artists have found their way to museums a far cry from Taos, NM and the Taos Art Museum is seeking to bring many of these pieces back home. Last on our list is the Millicent Rogers Museum located only four miles from the lodge. This museum is home to incredible multi-cultural collections including work from the Taos Pueblo as well as many other Southwestern Native American art. From Kachina dolls to pottery and baskets, the Millicent Rogers Museum is one of the top Taos attractions to for visitors to see and experience the art and culture of the area’s native populations. Of everything that Taos and the surrounding Sangre de Cristo Mountains have to offer, local art and artists have been drawing people to the region for longer than anything else. Native American, Hispanic, and contemporary local art line the hallways of the many galleries and museums of Taos, New Mexico. Of all the places to experience the best of local art, the above three museums provide the greatest look into the unique world of New Mexican art. What’s more, each museum is only a short commute from El Pueblo Lodge! So waste no time and make a reservation today to soak up all the best art and culture of Taos, New Mexico.